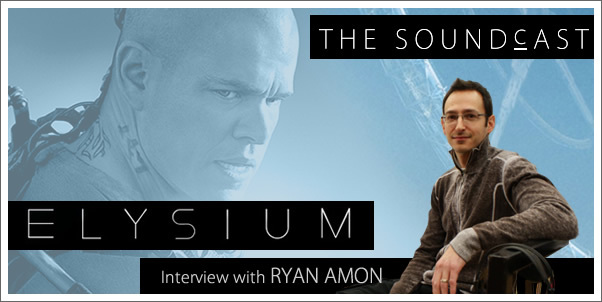 Composer Ryan Amon, composer of the original score for ELYSIUM, dives deeper into the incredible story of how this project all started with an email from director Neil Blomkamp, the unique amount of creative freedom given to him to write and his experience in recording at Abbey Road Studios. He also talks about writing for a feature film versus production/trailer music...with a surprising take. 01:37 - What happened after "that email?" 08:19 - Was was the arc for the development of the score? 10:35 - In writing trailer music, were you looking to get your music "discovered?" 16:24 - What was your biggest challenge for you with Elysium? Special thanks to Albert Tello (Costa Communications).